Most young people have never had a mentor and, as a society, too often we leave the opportunity for mentoring relationships to chance. City of Santa Fe Mayor Alan Webber has embarked on a bold goal. Within four years, the City has pledged to provide an adult mentor to every young person who desires one, establishing one key pillar and demonstration of a UNESCO “Learning City”. The Mayor’s proclamation recognizes the fact that every day quality mentoring and tutoring programs in the city of Santa Fe have a direct and measurable impact on our entire social and economic ecosystem by connecting hundreds of volunteers to our youth and cultivating relationships that provide crucial support and guidance as these young people grow and develop into our next generation of citizens and leaders. The consistent, enduring presence of a caring adult in a young person’s life can be the difference between staying in school or dropping out, or making healthy decisions or engaging in risky behaviors. Mentors can make a profound difference in the lives of their mentees – and in turn, strengthen our communities, economy, and country. Young people with mentors have more positive visions of themselves and their futures, and they also achieve more positive outcomes in school, the workplace, and their communities. A 2015 report, Don’t Quit on Me from the Center for Promise, suggests that “relationship poverty” is impacting the life chances of millions of young people. The report found the presence of just one “stable, anchoring relationship” can be a gateway to crucial support for academic and career success. Despite the beneficial effects of formal mentoring programs, nationally only 2.5 million (five percent) of the 45.7 million youth between the ages of 6 and 17 have a volunteer mentor. But that’s not for want of interest. Locally, a 2013 SFPS High School survey found over 80% of respondents wanted mentorship opportunities. Quality mentoring relationships, which are backed by a strong research base, endorsed by young people, and supported by a robust field of stakeholders, could be the leading edge in reaching community, state, and national goals. Through a strong mentorship program, Santa Fe could reclaim our position as first in the world in college completion, develop a future workforce for a global economy, and secure an opportunity society where all children, regardless of background, are equipped to achieve their dreams. With the support of the Santa Fe Public Schools, Santa Fe Community College, Santa Fe Community Foundation, new and existing youth programs, SF Chamber of Commerce and networking organizations, and the City of Santa Fe at large, it is estimated that more than 750 mentors worked with young people in 2018-19 and the effort hopes to double in capacity each year thereafter for four years. 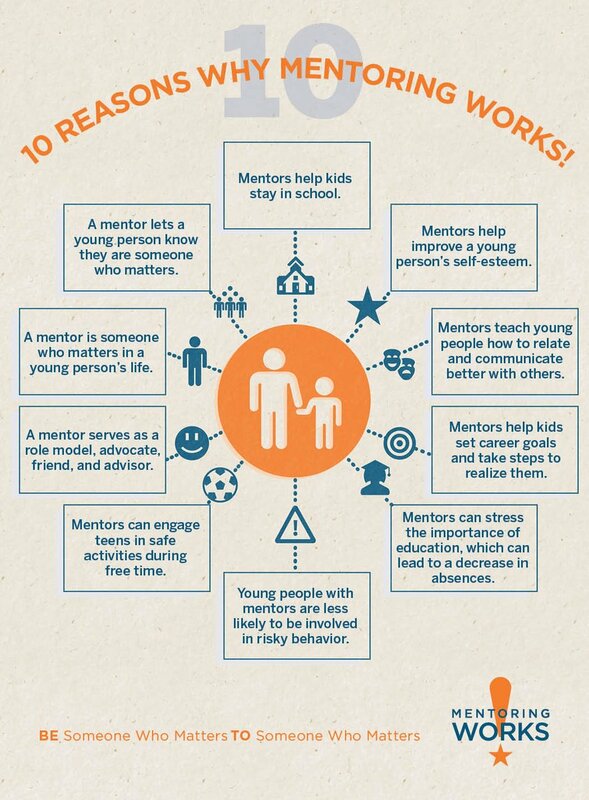 January is Mentoring Month. Help Santa Fe achieve its goal of providing a mentor with every young person in need. Visit the Santa Fe Mentoring and Tutoring Collaborative website to find out how to get matched!